David Tisserand outlines the benefits of designing a GUR process adequately in chapter 3. Chief among its contributions is that it addresses the necessary steps of designing, running, and analyzing a testing method. The chapter concludes with a discussion of the proper maintenance of documentation for the optimization of research efficiency. 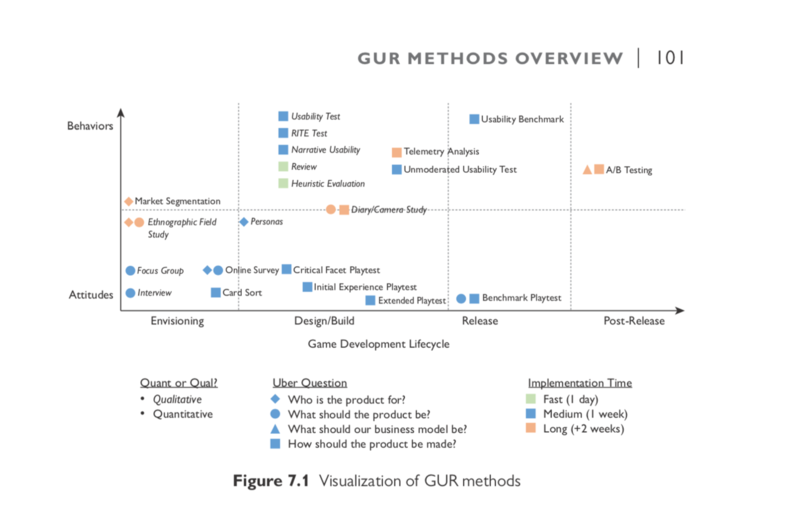 In chapter 5, Graham McAllister presents the different maturity levels that GUR can take depending on the studio. 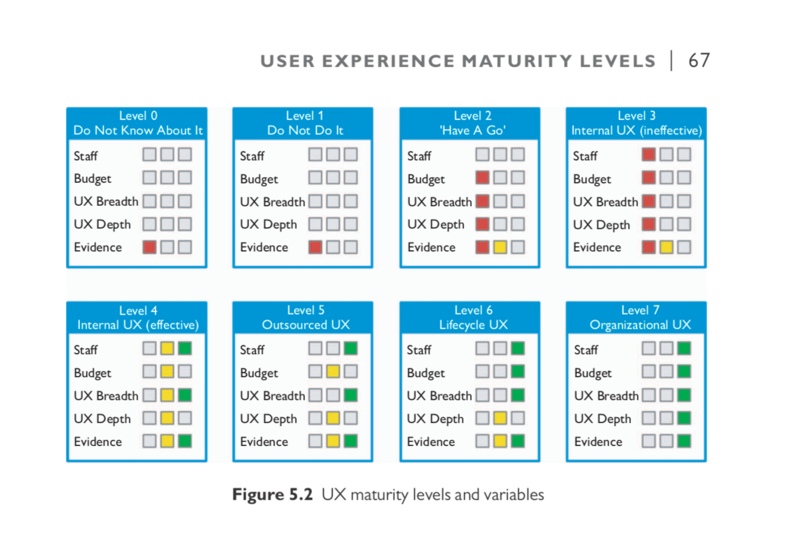 Given the wide variety of reactions to UX, it is essential to understand where one is on that maturity scale. 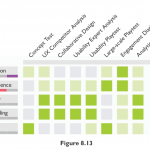 This understanding has the potential to help developers and user researchers focus on players. In chapter 6, Sebastian Long contributes processes for setting up functional lab environments. 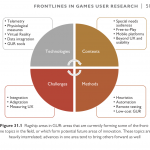 It outlines the process used by play-testing lab Player Research to set up their labs. In so doing it provides a range of elements to consider including testing strategies, materials selection, and floor plans. Critical lessons learned by Player Research along the way are discussed. In chapter 8, Graham McAllister and Sebastian Long give an in-depth description of the eight most used methods in player research. Information is given about time frame, execution, and result delivery. Strengths and weaknesses of each method are discussed. In chapter 11, Mirweis Sangin talks about the player experience. 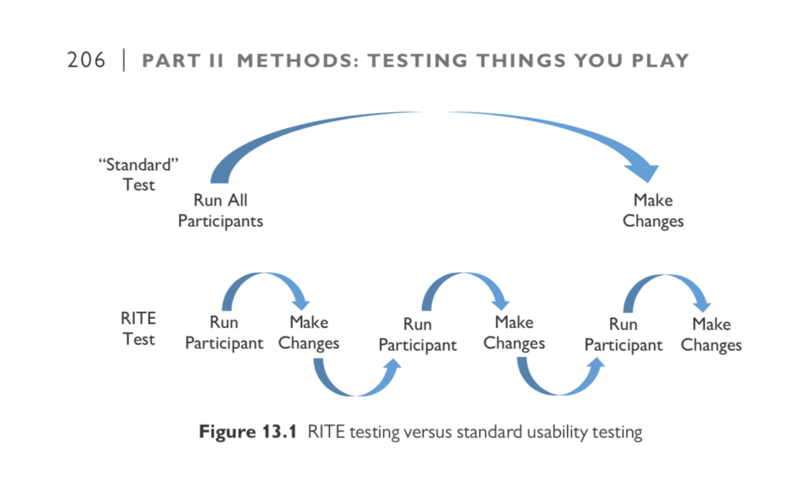 It discusses methods applied in observing player behaviour to uncover usability problems. 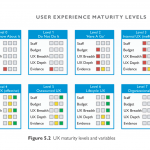 Furthermore, it provides an overview of how to capturing usability events. Guidelines on tools and processes used to document and analyze observations are provided. Tom Knoll describes the think-aloud protocol and its application to player experience in chapter 12. It covers what the protocol is, when to apply it, how to conduct it, it’s pros and cons, and its variations. The chapter concludes with a discussion about the think-aloud protocol with children and the considerations necessary when using child participants. 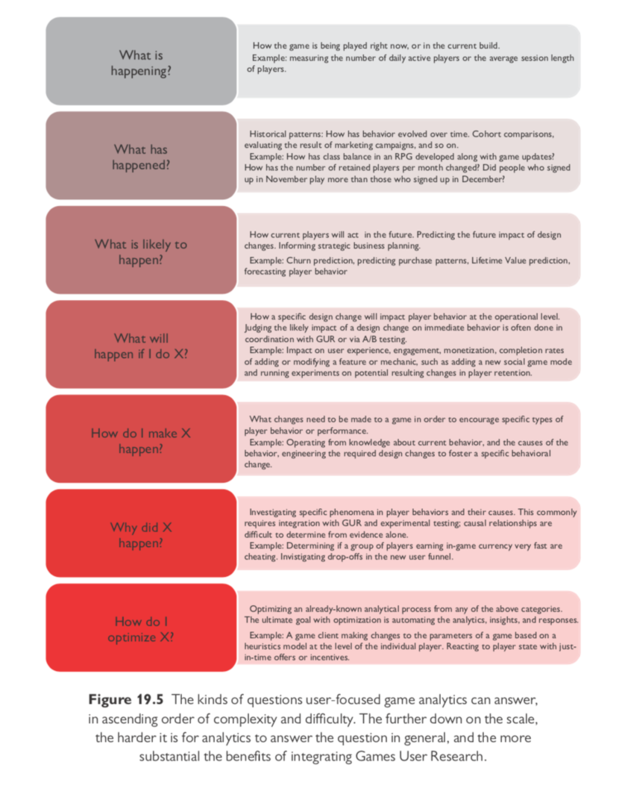 In chapter 14, Heather Desurvire and Dennis Wixon present PLAY and GAP heuristics for game design. 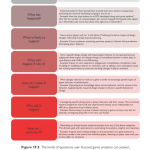 It discusses the history of heuristics in games including the research demonstrating its effectiveness as well as describing the use of these heuristics. The benefits of heuristics, such as revealing problems, fixes, possible enhancements, and practical current aspects are discussed. Overall heuristics have been found to be more effective than informal reviews. Janne Paavilainen, Hannu Korhonen, Elina Koskinen, and Kati Alha talk about the heuristic evaluation method with updated playability heuristics in chapter 15. It presents example studies identifying playability problems in social network games. Benefits such as its cost-effectiveness and flexibility are also discussed. Finally, new heuristics for evaluating free-to-play games are proposed. Pejman Mirza-Babaei talks about GUR reports in chapter 18. It details the requirements of a GUR report such as communicating the results accurately and motivating the team to make changes that increase quality. Its central message is that reporting findings is just as important as the finding themselves, and goes into the pitfalls that arise when the reporting is inadequate. Chapter 20 is aimed at small to medium sized studios wanting to introduce analytics into their development process. Lysiane Charest focuses on concepts and techniques that are most useful for smaller studios, and that require minimal skills. While money is always an issue, plenty of free analytics tools exist whether they’re third-party tools or simple in-house solutions. The chapter details how the most critical factor is the availability of human resources. 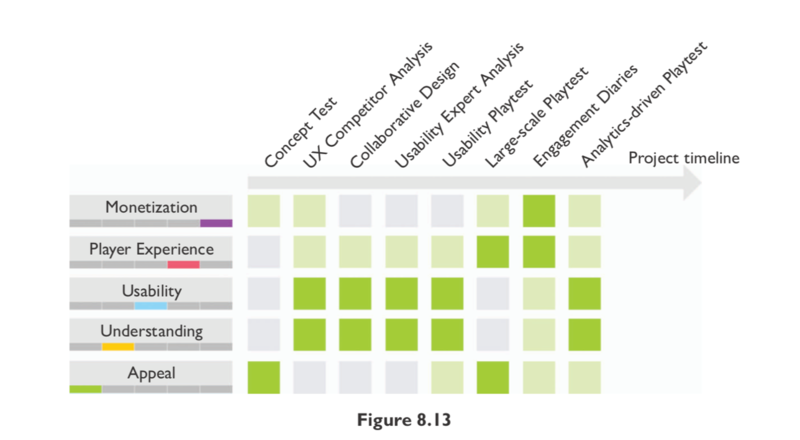 In chapter 21, Pejman Mirza-Babaei and Thomas Galati focus on user testing for indie studios. 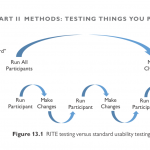 It describes how user testing often requires significant resources and expertise but can be conducted affordably. The chapter explores the contributions of analytic techniques to existing GUR methods. Johan Dorell and Björn Berg Marklund continue the discussion about GUR on a budget in chapter 25. Even when resources and prior GUR experience is low, small starts can be expanded to impact significantly the developer’s working processes. Guidelines are provided for beginning to use GUR processes, including a step-by-step guide. In chapter 26, Steven Schirra and Brooke White present GUR for mobile games. It considers the context of gameplay for these types of games and prescribes methods which fit its mobile and touch-screen nature accordingly. This chapter discusses the constraints of lab-based research in this context and explores field study methods such as diary studies. In chapter 27, Kathrin Gerling, Conor Linehan, and Regan Mandryk deal with the challenges involved in testing with special needs audiences. It describes three cases, focusing on young children, people with disabilities, and older adults. For each, playtesting challenges and user involvement in early design stages is discussed. Strategies to establish respectful and empowering methodologies with diverse audiences are explored. Nick Yee and Nicolas Ducheneaut talk about the differences among gamers in chapter 28. The model of gaming motivations is an empirically validated and accepted bridge between player preferences and in-game behaviours. Most importantly, engagement and retention outcomes can be calculated with the model. In chapter 29, Johanna Pirker discusses social network analysis. In the context of player and in-game data, network analysis can help researchers understand player behaviour in a social context. Key elements of network analysis and their benefits to user research are discussed. Finally, in chapter 31, the editors Anders Drachen, Pejman Mirza-Babaei, and Lennart Nacke discuss the rapid changes GUR has gone through as a domain of inquiry and as a community. Here, key areas of current work are identified and their potential and future are discussed. Some areas of discussion include behavioural and physiological tracking, virtual reality, efforts to broaden target audiences and so on. Challenges and opportunities for industry and academia are discussed. The book would not have happened without our advisory board, a band of luminaries who have championed GUR forward for over a decade, some of them long-time friends, advisors and mentors of the editors. 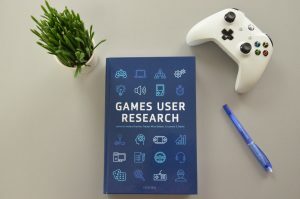 We would like to thank, for their incredible support to helping us write a book with a strong focus on games user research: Michael Medlock, David Tisserand, Ben Medler, Graham McAllister, Gareth R. White, Ian Livingston, Regan Mandryk, Dennis Wixon, Mirweis Sangin, Randy Pagulayan, Regina Bernhaupt, Christian Bauckhage, Veronica Zammitto. Without this incredible team, this book would not have been possible. Thank you. The book has also been helped immensely by a fantastic group of GUR students from the Saskatchewan-Waterloo Games User Research (SWaGUR) Network, the HCI Games Group, and the University of Ontario Institute of Technology’s UXR Lab, who supported the editors with the myriad practical details that goes into collecting and editing material from dozens of people working across different fields, production sizes and contexts: Colin Whaley, Giovanni Ribeiro, Karina Arrambide, Samantha Stahlke, Brianne Stephenson, Marim Ganaba, Melissa Stocco, Rylan Koroluk, Nelly Hamid, Alberto Mora, Gustavo Tondello, and Katja Rogers. Thank you. 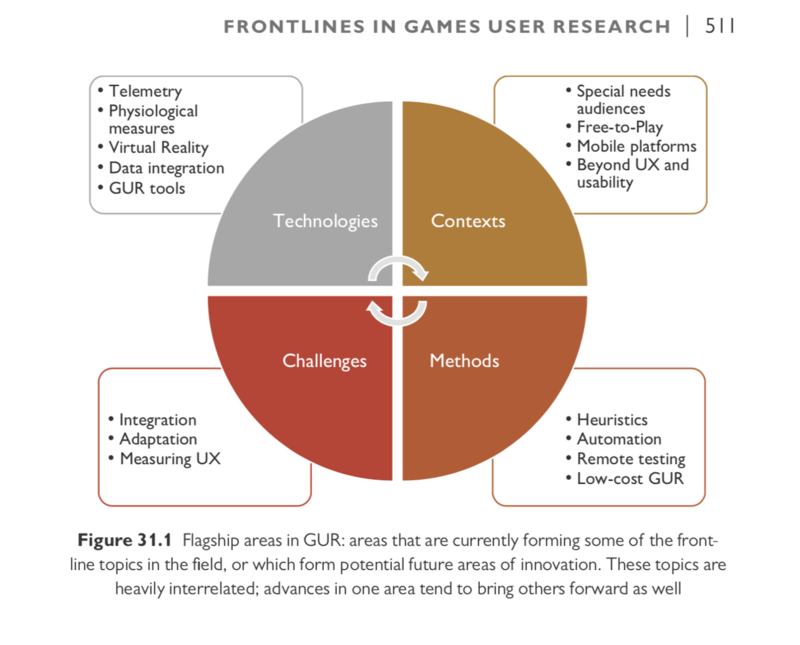 Finally, we would like to acknowledge and thank the wider GUR community as represented by the International Game Developers Association Special Interest Group on Games User Research. 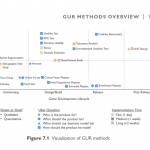 This great community of over 1000 people across industry and academia forms a network for anyone interested in GUR and has developed several initiatives towards supporting the field, including the yearly Games User Research Summits, online knowledge repositories and a highly active online form.